A Legally-Admissible Paternity Test could be the single most important test your child ever takes because it’s critical in determining parental rights and child support. Inaccurate results can create life-altering circumstances. That’s why you can’t afford to cut corners with a lower-quality test. 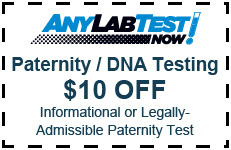 Our Legally-Admissible Paternity Test gives you an accurate determination (with 99% or more certainty) of who the child’s biological father is. 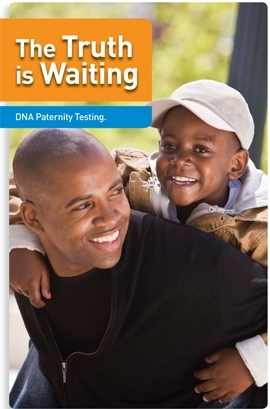 The difference between an Informational Paternity Test and a Legally-Admissible Paternity Test is that the Legal Paternity Test is admissible in a court of law. This test must be used when a person is attempting to seek or deny for child support, child custody or visitation rights, seek medical, social security or military benefits, Placing add and/or Voluntary Acknowledgement of Paternity, or apply for immigration or adoption. The process is very simple and easy. An epithelial cell (skin cell) DNA sample is collected using 2 special swabs that are rubbed around the inside of both cheeks (from the child and the alleged father). This is a painless and fast procedure. A sample from the mother is NOT required, but can be useful so that the lab can determine which DNA is the mother’s leaving the remaining DNA that matches the alleged father. For a legal DNA test the Chain of Custody documentation process is followed to ensure that the results will stand up in court. The Chain of Custody process makes sure that your results will be acceptable in court of law when paternity has to be proven. In order to establish a chain of custody the process below will be followed. The samples are carefully tracked and matched to the person tested throughout the entire DNA testing process. The Chain of Custody process requires samples to be taken by a neutral third party. The medical assistants who collect your sample are specially trained for this type of testing. Remember to bring the following when you come to our facility for a Legal DNA Test. (815) 397-8370 for more free information. Call Us for One price with no hidden fees!